Popular throughout much of the world, the genus Populus, which included about 30 unique species, has become a commonly sighted landscaping tree in the United States. The genus’ species, commonly called Poplars, Cottonwoods, and Aspens, are planted for a wide variety of reasons. For one, these trees are fast-growing. They also often grow quite tall, with different species ranging between 50 and 160 feet in height. 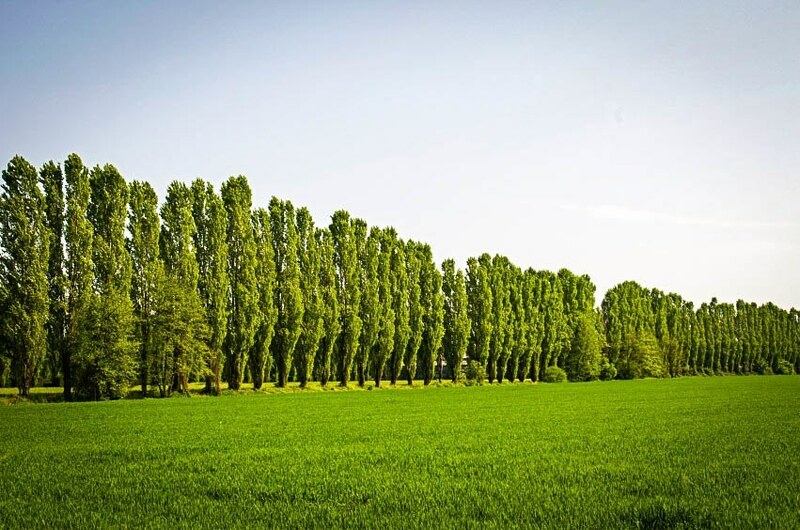 For another, Poplars are most often used to create plywood and wood pulp used in manufacturing and construction. Besides these rather functional uses, the Poplar Tree is also loved for its beauty. 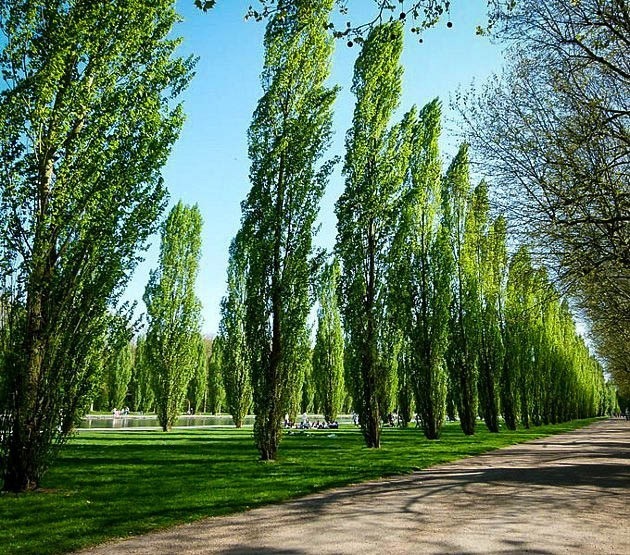 Poplars are fastigiated, meaning they grow upwards in a columnar fashion. This aesthetic design has become popular in gardens throughout the United States, with the Sky Pencil Tree being one of the few alternatives. This design feature has become quite common, as it can easily be part of either a formal or casual garden setting. These easy-to-care-for trees have also gained popularity because gardeners can plant and go. Pruning and daily maintenance are not required for this tree. Be cautious before planting a young, small Poplar sapling immediately adjacent to any buildings, foundations, or infrastructure. Fast-growing trees above ground are often fast-growing below, too. The root system of the Poplar Tree can be invasive and destructive if planted in close proximity to these types of materials. Simply plant your Poplar a safe distance away from the home and watch it grow. Interestingly, the Poplar Tree has a fascinating history. Valued by the Greeks and Romans, who created shields from the tree’s wood, the Poplar Tree grew out of fashion for a time. The wood, which until recently was considered poor-quality, is now being used for a variety of projects. Since the Poplar tree is fast-growing, pulpwood plantations have begun to grow hectares of Poplars to cut and use for wood. Enjoy some more fun facts about the Poplar, including its relationship to the famous Mona Lisa, at the end of the blog post. Enjoy some quick tips here. For more complete information, read about these hints in more detail below. Sunlight – Poplar Trees prefer full sun, especially since this usually ensures plenty of room to grow and expand. 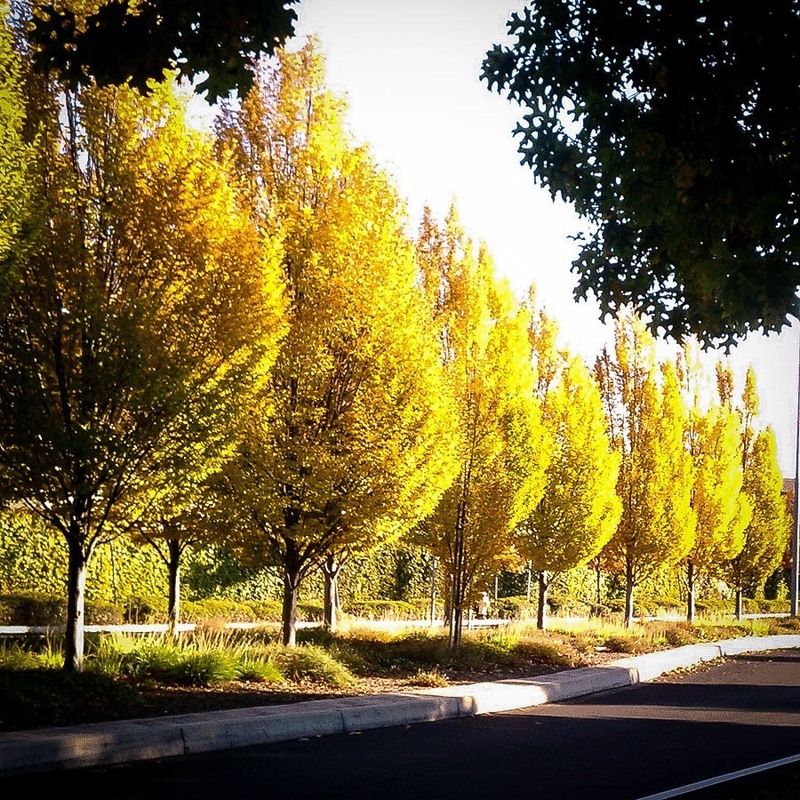 Soil – Poplar Trees are relatively adaptable to various soil types, though, like most trees, Poplars prefer well-drained, moist soil that is slightly acidic. Water – Although the Poplar Tree is relatively adaptable, it does need adequate watering. Poplars grow best along riverbeds and water-rich regions. Ensure proper watering. This will also decrease the expansion of the root systems, which can otherwise grow out of control in the search for moisture. Pruning – Minor maintenance pruning should take place once a year. Simply remove any dead or diseased wood from the tree. 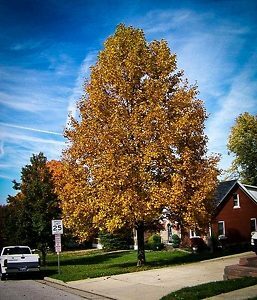 How can you use a Poplar Tree in your yard? First know that there are over 30 species of Poplar from which to choose. Some may only reach 50 feet while others stretch to 160 feet. Planting a Poplar means first determining which species is best suited to your needs (see list below). Poplars require heavy watering, which is why they grow best in the Southeastern United States. Even if you do not live in this preferred region, you can grow the Poplar Tree. Water generally collects somewhere on a property. This is generally at the bottom of a hill or valley. Plant your Poplar in this location, as it will be more likely to receive enough water. Sunlight and space are also essential to your Poplar Tree. These trees, which are perfect for fast-growing height, do not grow well in small spaces with minimal sunlight. Your Poplar will shine best when planted where it has plenty of space to spread and absorb sunlight. This Poplar produces fuzzy white buds in spring that transform into the elongated catkins later in the year. The white color of the bark and white hairy underside of the leaves are what give this tree its name. Hardy in USDA Hardiness Zones 4-9. One of the more popular Poplar species, the Lombardy Poplar is commonly used for privacy screens. It has clear fastigiated growth. Hardy in USDA Hardiness Zones 3-9. The Eastern Poplar is known for its fast-growth. Many homeowners plant a small region of land with this Poplar, which quickly becomes useable firewood. Hardy in USDA Hardiness Zones 3-9. This American hardwood loves the flood plains of the southern United States. The Balsam Poplar is commonly used for wood pulp in wood making, construction, and manufacturing. Hardy in USDA Hardiness Zones 3-9. Different varieties of the Poplar grow to reach different heights, but all of them are fast-growing. Expect between 3 and 5 feet of new growth a year. Fast growing trees typically have shorter lifespans, but several Poplar trees have been documented well over 200 years old. Depending on the species, Poplar’s range in height between 50 and 160 feet, with most falling between 50 and 80 feet tall. Other cultivars such as the Tulip Poplar grow to around the 70 foot range. You will be in competition with caterpillars when it comes to loving your Poplar Tree. Leaf-feeding caterpillars’ larvae feed on the leaves of the Poplar, as do leaf beetles, mealybugs, scales, borers and aphids. Insecticides can usually combat any onslaught of infestations when used cautiously. Diseases among the Poplars are less common, though both Wetwood and Canker have been identified. – Early renaissance Italian art was painted on Poplar wood, including the famous Mona Lisa! – Stringed instruments, such as violas and harps, will often use Poplar wood as a main structural component. – Although there is a heavy push throughout most of the world to move away from wood burning for energy production, Poplar wood is commonly used for this purpose in the U.K.
– Do you enjoy snowboarding? Chances are the snowboard has Poplar wood components. I have a popular tree and the green house said it wasn’t a fluffer but there are pods on top. Neighbours hate the old cottonwoods around the lake and don’t want another one. I want to say the green house called it a “Northern _______________” but I can’t remember the second word. I have pictures but can’t attach them here. What is the root system like on these trees, do they have a tap root? Can I have them dug out or have the root ground out, which is the best way to get rid of them. Sorry I don’t know the age of the trees except they are very large. What type of poplar grow on the northern Alaska, mainly on the Kobuk River? We are located in Melbourne, Australia which has a Mediterranean climate. We are looking to plant an avenue of poplars along our driveway, which species would be best suited to our climate please? If you have a Mediterranean climate, check out the Italian Cypress, which when planted along a driveway form a lovely windbreak and privacy hedge. Italian Cypress are planted in Southern California where they are doing well in the artificial drought conditions here. I read an article using cottonwood buds to make medicinals (balm of Gilead). Now, I find, cottonwood, aspen, and poplars are all the same tree, same family? Which of this family do I use? Is there one particular “cottonwood” that is specifically used for medicinal remedies?